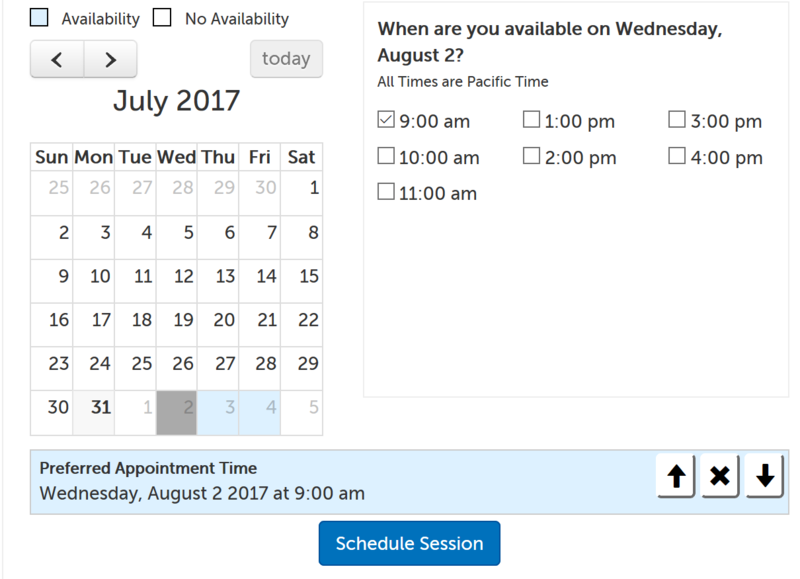 Appointment Slots allow a provider to list available dates and times in a public calendar, so that current and prospective clients can request a session, if the provider has the feature enabled. 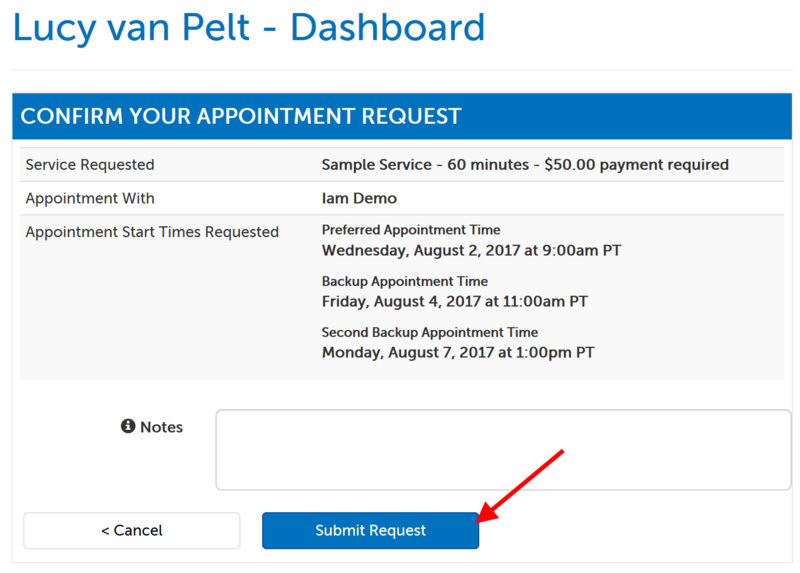 This support article goes over the process for requesting a session from a provider's available time slots. 1. Visit the provider's booking page. If the provider has a listing, use the "Book Appointment" button on it. If the provider does not have branding enabled, the booking page is a unique URL found in their account. 4a. Check the box next to a time slot to select it, and it will appear below the calendar as you click into other dates. 4b. 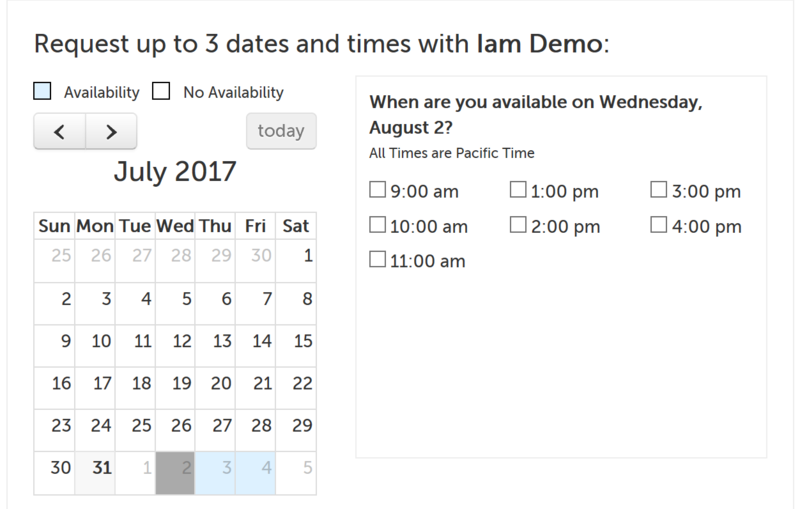 You can select up to 3 different dates/times to request, which can improve your chances of having one scheduled. You can change the rank for any one choice (by clicking on the upward or downward arrow), or remove it altogether (by clicking on the "X"). When finished, click "Schedule Session". 6. Click the "Save" button to continue. 7. Review your selected times and enter any notes you would like to include with your request. (If you don't see a notes field, it has been disabled by the provider.) Click "Submit Request" when ready. 8. If the provider does not require a payment for booking, you will see a confirmation message that your request has been submitted, and will wait for an email update from the host. If the provider does require a payment for booking, click "Enter Credit Card" to continue. 9. Enter your credit card information on the next page. 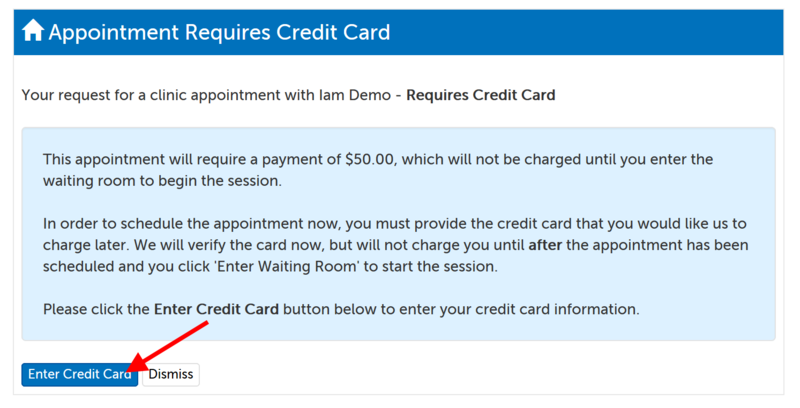 Although we will verify the card when entered, you will not be charged until after the appointment has been scheduled and you click "Enter Waiting Room" to start the session. This article was last reviewed by our Support team on July 30, 2017.